Parents, adults, and the church must provide our children an opportunity to learn and practice prayer in an encouraging environment. 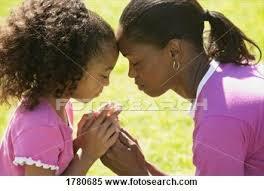 Children need guidance in all areas of growing up- including prayer. Training our children to pray complies with the directive to “train up a child in the way he should go, And when he is old he will not depart from it” Proverbs 22:6. Parents and the church must nurture our children’s prayer life by involving them in prayer at home and in your church’s prayer life. 1. Remember prayer is a relationship with God* . Children lack the sophistication that comes from praying around spiritual “pros”. Their innocent prayers often make us smile. But that’s the way we want them to pray- naturally and in relationship with the Father. We want them to grow up with a simple approach to conversation with God. 2. Teach God’s Attributes. It’s not nearly as important to teach children the mechanics of prayer as it is to help them know to whom they are praying. God is love. He is holy He is compassionate. He is powerful. 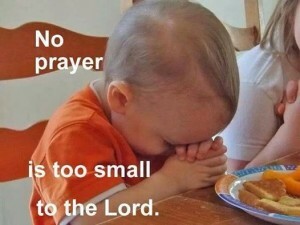 The more children under who God is, the more intimately and confidently they can pray. 3. Use the Bible when you pray. An important way to mature children’s prayer lives is to help them to build a prayer vocabulary by teaching them to pray Scripture. Using Scripture to formulate prayers opens up a whole new way of talking to God-new words, concepts and subjects to pray about. 4. Show that God responds to simple faith. One of the best ways to instill faith in children is to share with them about God’s faithfulness. When parents, teachers and church workers tell kids their most memorable faith stories, to kids it usually isn’t long before the children start having faith stories of their own.